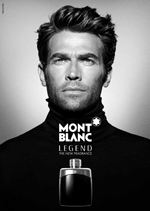 In May 2011 Montblanc launched the men’s fragrance Legend, writing a new chapter in its history. A woman at Montblanc, creator of Meisterstück writing instruments, gentlemen’s business accessories and sensational cufflinks? Of course… Few people know it, but from Princess Grace of Monaco to Ingrid Bergman, Greta Garbo and Marlene Dietrich, many women have inspired the craftsmen at Montblanc. How to resist the refinement of avish luxury leather goods, watches and writing instruments specially designed for the finest hands ? How to keep from melting at the sight of diamonds cut into starry shapes ? One must now reckon with Legend pour Femme, faultlessly tempting, a tribute to modern luxury, with timeless endurance. 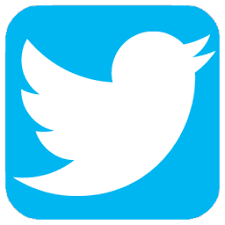 Who is the Legend woman? Photographed, like her male counterpart, by Peter Lindbergh, she is genuinely remarkable. Looking straight at you with the slightest hint of a smile, she quietly asserts her self-confidence, her choices and her simplicity, which is highly sophisticated despite appearances. For everything about her is elegant. No accessories or fancy hairdo. Discreet makeup and a plain black pullover : narcissism is not her style. Nor is flashiness, bling, superfluousness or overstatement. Caught without finery, it is in her own privacy that she appears, letting her modesty and, essentially, her astounding charisma show through on the surface. The Montblanc woman is already a legend. Just as she chooses simplicity in her way of being or naturalness in her relationships with others, in her personal affairs she likes to get straight to the point, without becoming lost in affectations or mannerisms. Pure lines, beautiful self-restraint. But, rejecting severity, she also seeks gentle shapes, harmony and refinement. The bottle is based on the rings from the collection, which look as though they are stacked one atop of the other. It forms a column of light and femininity: no corners but curves, dappling reflections and highlights mirrored by transparent, blush-coloured glass. And the weight of real luxury in your hand. The zamac cap also features the Montblanc star and the Meisterstucks’ famous three horizontal lines. The signature, engraved on the side, so easy to read amongst all the codes, has no need of being repeated on a label. 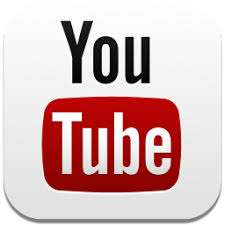 Thus, the object, like the woman it accompanies, gets straight to the point. The same goes for the box. Featuring the same pale pink colour as the bottle, but with the addition of a metallic touch, it is gently rocked by the same waves (although differently curved) and underscored by the star as though it were a seal, like a universally recognised flourish. Looking at her, there can be no denying that such a woman sends out invisible signals, expressive silences, subliminal unspoken messages. She would rather strew clues on the paths of those who can spot them than utter words everybody can hear. She has a penchant for secrecy, and likes things that are discovered more than those that are unveiled. And her perfume says more about her than the longest speech. Bright and intense, it opens on an accord of neroli, slightly underripe crunchy pear and bitter orange. It is fruity, tender and subtle but not sweet or childish. It is a perfume of pleasure, obviously. At the other end of the olfactory spectrum, musk, vanilla and some blond woods anchor the fragrance in a slightly powdery sensuality and the presence of a vapour trail that does not offer itself to the first one who comes along. It is a perfume that embraces you, absolutely. Between the beginning and the end comes the soul. Essence of orange blossom (almost honeyed, the way it smells in Mediterranean gardens at the end of winter), reconstituted lily-of-the-valley (green and white, irresistible) and Indian jasmine (also known as grandiflorum), lavish and yet so delicate. It is a woman’s perfume, assuredly. 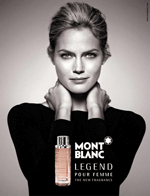 Legend pour Femme by Montblanc was written by Bernard Ellena and Nathalie Feisthauer.